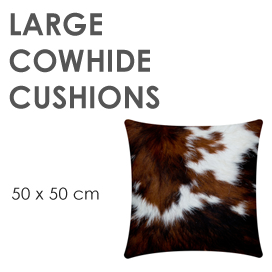 Looking for the perfect cushion to team up with your cowhide rug? One of our luxurious cowhide cushions will add the perfect finishing touch to your home decor. 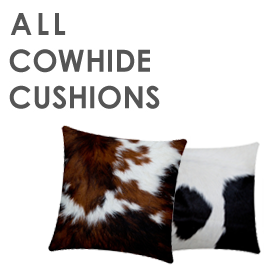 These cowhide cushions are not only beautiful but are practical too. Most stains can be simply removed by wiping with a damp sponge. The cowhide cushion shown in the photograph will be the cushion you receive. 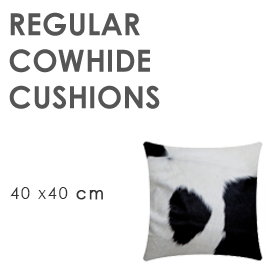 We despatch all cowhide cushions next business day and delivery will take a further two days. Showing 48 of 211 products.